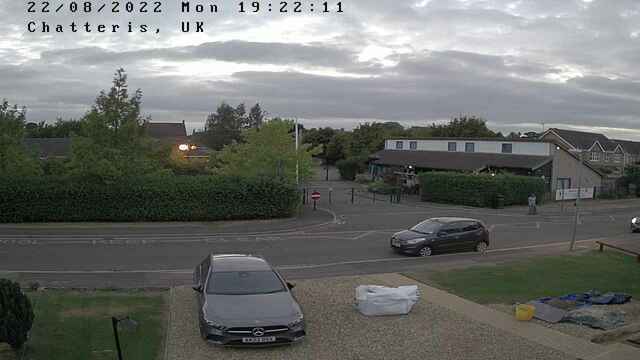 The camera is a Hikvision DS-CD2032-1 IP True Day/Night 3MP bullet camera with integral image server, the Meteobridge Pro captures the network images from the camera and refreshes the image every 5 minutes. Due to new regulations that came into force on 25 May 2018, you are no longer required to register your household CCTV and pay a data protection fee. Under the Data Protection (Charges and Information) Regulations 2018, there is an exemption for individuals using CCTV to monitor their property, even if they are capturing images beyond the boundaries of their property. The details are available in the guidance on the ICO website. The Information Commissioner's Office will therefore remove Chatteris Weathers registration on expiry as you do not need to continue to pay a data protection fee. Links to an extensive number of weather related webcams across the UK, courtesy of Newall Weather Station. Weather condition Tweets are sent every 30 minutes.